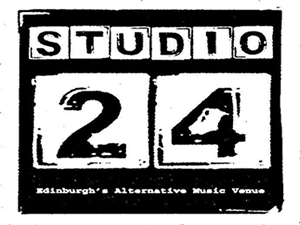 STUDIO 24 is an independent nightclub in the heart of Edinburgh. This venue not only showcases live music but is also home to a diverse collection of clubs. Studios was established in 1995 when it was bought by its current owners,previously known as The Calton Studios. It is the only truly underground venue in the city. The building was originally built as an engineering factory for the railway, then used as The Earl of Haig Poppy factory, a TV studio for Granada television and then a cinema and has been a night club for over 30 years. Sorry, but we have no upcoming events for Studio 24. If you know of an event taking place at Studio 24 or anywhere else in Edinburgh tell us about it and we'll list it on the website, for free!